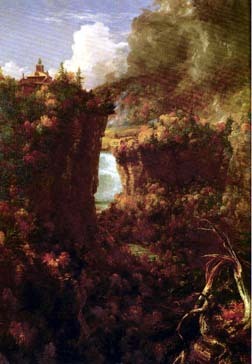 This work was commissioned by William Seward, and still hangs today in the Seward Mansion in Auburn NY. 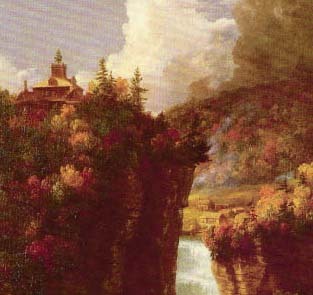 The remarkable structure know as Hornby Lodge crowns the top of the Portage Cliff, towering over the Middle Falls and its small settlement. For more information on the Lodge, see our Glimpse of Hornby Lodge.